All of the favourite signs of the season are present in this clever Snow Pick. 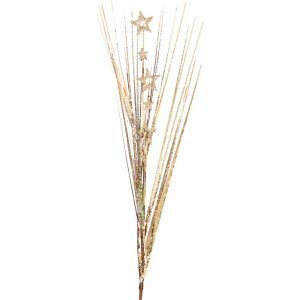 This is a clever way to instantly add some festive cheer and holiday themes to any spaces in your home, and measures around 6cm by 23cm in height. 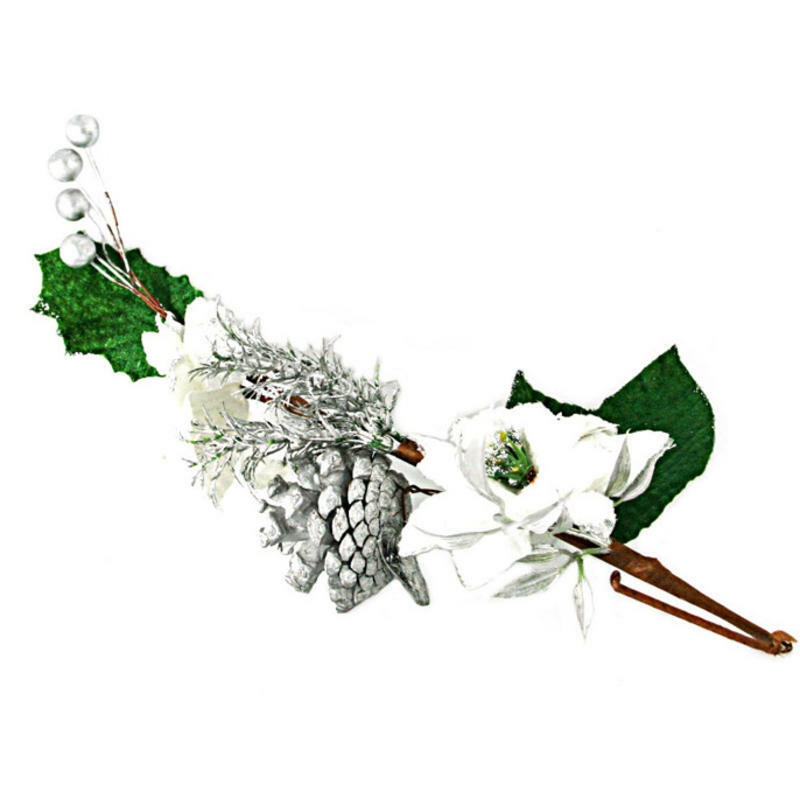 There is a look of fresh fallen snow evident on each of the components of this Snow Pick, including the silver trimmed poinsettia blossom, silver-tone berries, pine sprills, and gilded cones. 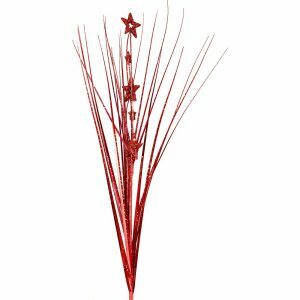 The brown wrapped wire stem allows you to bend and shape the branch to fit where you want it. These are excellent to add to a fruit basket or platter of baubles on a table for a charming holiday centrepiece. 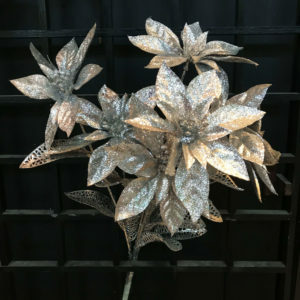 The advantage of these amazing picks is the fact that they can be used year after year, which will save buyers significant money when compared to buying fresh floral displays!